I have not seen one football game this season; only small portions; but with little or no interest. Baseball and golf seem to be my sports watching. Will that change come November? I don’t think so. Football holds no interest for me anymore. My head, heart, and gut say by watching I would be supporting something against my views. Trust me, this is difficult for a lifelong sports fan, sports junkie, sports reporter, and host of my own radio talk show breaking down every NFL game. Sure, I am a golfer. And yes, golf courses in the south Saturday afternoons during college football season are wide open. And, yes, I have written about baseball being the more inherently American sport. And the drama of big football games and the strategy involved draw me in. Just look at the last two out of three Super Bowls where my team, the Pats, had classic story book finishes. But this is a come-to-Jesus moment. Watching football, for me, would be like using my new TV show, Undercover Jetsetter, to drink a gallon of grain alcohol every day because we cover wine and spirits. I am now committed to finding real solutions. And I won’t stray from that. It’s an intellectual response turned visceral. Everything I write here or post on my social media pages is dedicated to finding healthy solutions. 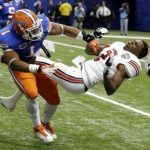 Football – college or pro – offers little or none. Football no longer builds up the body. It tears it down. Too many of my idols as a young man have died young or committed suicide trying to show the brain damage caused by football. Being a TV host and playing celebrity golf events with retired NFL players allows me to witness the detriment of football on their lives. Many are hobbled by leg injuries. Others have difficulties remembering or holding conversations. Many are near my age. But they look and act 20 to 30 years older. It would be immoral to not to speak out — because I was lucky. 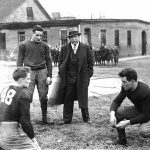 His father, my grandfather, Charles W Daly, M.D., was adamant about the dangers of football. He died in — wait for it — 1967. My dad never strayed from that prescient edict. So I was prohibited from playing football during high school. We’re seeing many parents today doing the same. Google “soccer” and you will find more kids opting for the European style of football more than traditional American football today. For parents who have done this, let me reassure you. 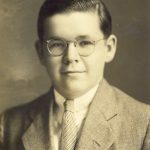 As a healthy man in the second half century of my life, I thank my father and my grandfather every day. Their forward thinking hits me as I see many football players, including amateurs, after their football days are done. Yes, it is a free country. Professional football players have a right to make a living. They also understand their game is violent and could lead to serious injury. But I also have a choice to not support it. My choice is to reduce our healthcare costs that are going to be spiraling out of control in the next decade thanks to Baby Boomers like me. Senseless injuries and long-term medical costs hurt us all. The NFL doesn’t help me much either. They exacerbate the problems. For instance, there needs to be restrictions on what I call projectile tackling. One suggestion would be to prohibit any defensive player from leaving his feet to make a tackle. We need to go back to the old Knute Rockne instructional films and how to tackle by putting your shoulder into someone’s midsection, not being a missile of destruction. Football also doesn’t make sense in the 21st Century economics and politics. Football’s rise to overtake baseball as America’s pastime – or obsession — in the late 20th century coincided with America’s military advancements from Vietnam until today. The militaristic nature of our society blended beautifully with the gridiron tactics and strategy. They fed each other. They gave us heroes who are brave warriors which bring back the heroes who fought in all of our wars. However, I think we are seeing the beginning of the end of our 20th Century militaristic ways. First, the warfare with ground troops and aerial bombardments that we knew throughout the 20th-century is going away. Drones now take out our enemies. Nations like Russia use cyber-attacks to beat us. And our new enemies are not even nation-states. They are wayward, religious zealots looking to harm innocent people. They’re akin to disruptive water boy determining the outcome of the Super Bowl. Secondly, we are seeing the lasting, harmful effects on those few who serve. 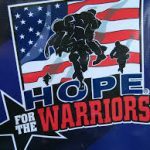 I spend some time with Hope for the Warriors. This is a great nonprofit that helps our fighting men and women who have been wounded physically, emotionally, and mentally because of our recent wars. They are all heroes who have answered our nation’s call. But they are a small minority. And many of them have done numerous tours leading to numerous injuries and long term wounds. What is the football equivalent of an IED? We have pushed them beyond what we originally asked of them. Plus, we will be taking care of many of them for the rest of their lives. My fear is we may buck on that commitment too. Third, unfortunately, football (as entertainment) and our politics have also become intertwined. Both seem like a winner-take-all warfare – no matter the costs. Both are part of our entertainment culture – which fails to look at real research and solutions now. Both political parties are combatants that don’t back down. Sadly, that has led to an economy that fails to find solutions for the majority of Americans. This is another form of media bias we all miss. Football makes big money for media outlets that fail to mention the serious medical effects. I saw it first-hand. My contract as a news anchor at NECN forbid me to say anything negative about any of the New England Sports teams; it was grounds for firing. 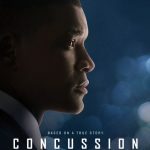 As a result, fellow reporters tell me that NECN killed a story about the Boston University Center for Memory and Brain and its early findings that eventually led to a great film, Concussion that was dismissed by the NFL and audiences. It’s latest findings show a staggering 99% of football players who have died had CTE in their brains. I know. I sound un-American. However, we need to work toward the health and well-being of our nation – physically and fiscally. But football — to me — has become a senseless game that doesn’t do enough to build our nation and seems to be either tearing us down or costing us more, maybe our future.